Rallying is always full of surprises. Like today, when everyone was sure that Kopecký and Veiby finished the shakedown in 2nd and 3rd place. Then the track, initially damp after yesterday’s heavy rainfalls, dried up. This allowed two Citroën crews (drivers Stéphane Lefebvre and Yoann Bonato) to go much faster than expected and finish in 1st and 2nd place. This means that in the end, Jan Kopecký and Pavel Dresler are fourth, with best time 4:17.6, while Ole Christian Veiby with Stig Rune Skjaermœn are fifth, with 4:20.1 time. Other than the unexpected ending, the shakedown went quite smooth. Drying up track meant that the teams had to fiddle up with the setting a bit, but our drivers were very satisfied with their cars’ performance. “I tried tested some different settings, everything okay. I feel well prepared for the rally”, concluded Kopecký at the service park at the airport of Bastia. The customer teams were doing well, too. We would especially like to congratulate Łukasz Pieniążek with co-driver Przemysław Mazur from the team Printsport Oy, who finished the shakedown in the 7th position, close behind our works drivers. Good work! On the opening stage of the Rally Corsica, the crews had to face nearly 50 kilometres with endless corners and virtually no straights. Heavy rainfalls on Wednesday which brought all kinds of dirt on the tarmac roads made the road conditions unpredictable in some places. “The first stage was very good for us but very tricky as well. There was some running water on the road which has not been there when we made our pace notes. 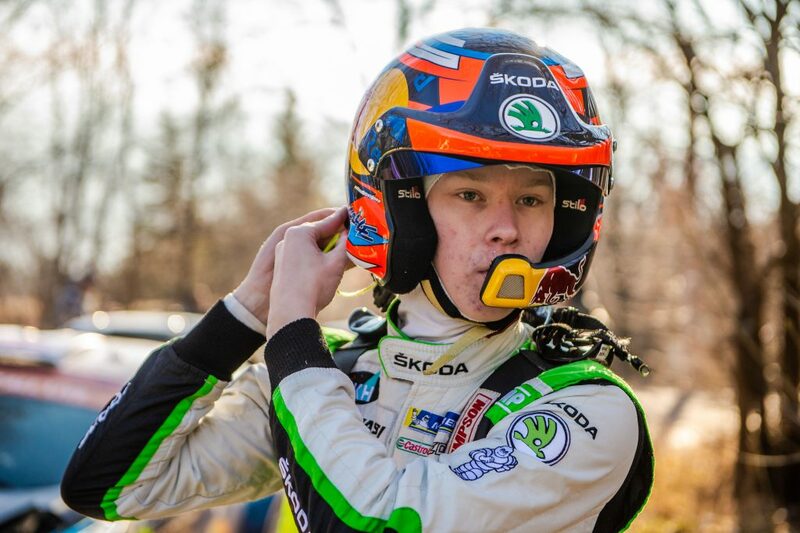 As we are not allowed to have gravel crews which could check the roads before we are driving the stages, some corners were concerning the grip unpredictable, so I took a cautious approach”, confessed Jan Kopecký who was nevertheless fastest which put him into the lead after the two morning stages. While their competitors had technical issues or went off the roads, both ŠKODA works drivers where happy with their ŠKODA FABIA R5 which were reliable as always. “I had a spun on a hairpin in the first stage, on some places there is a lot of mud and water. 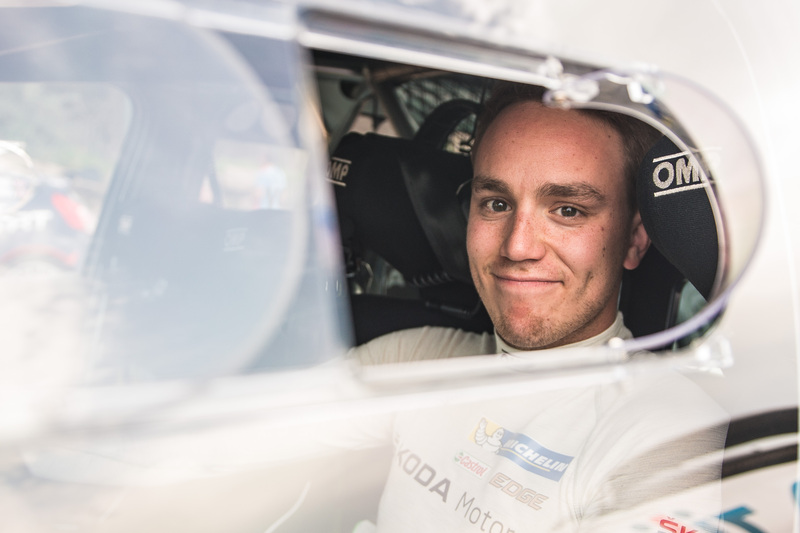 The grip changes all the time so I decided to be careful”, said Ole Christian Veiby who was on the third position in the WRC 2 category. After the service at noon, the afternoon saw the repetition of the two morning stages. 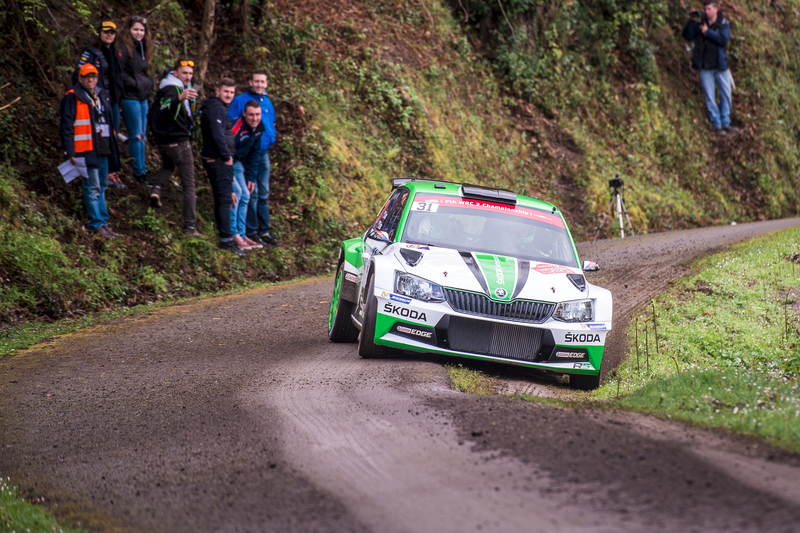 Jan Kopecký set another fastest time with his ŠKODA FABIA R5, enlarged his lead and was after the four friday stages quite happy with his performance: “It was much better this afternoon, the roads were more dry and I could push a lot more.” Teammate O.C. Veiby had another spin but could nevertheless defend his third position after the first leg on Friday. 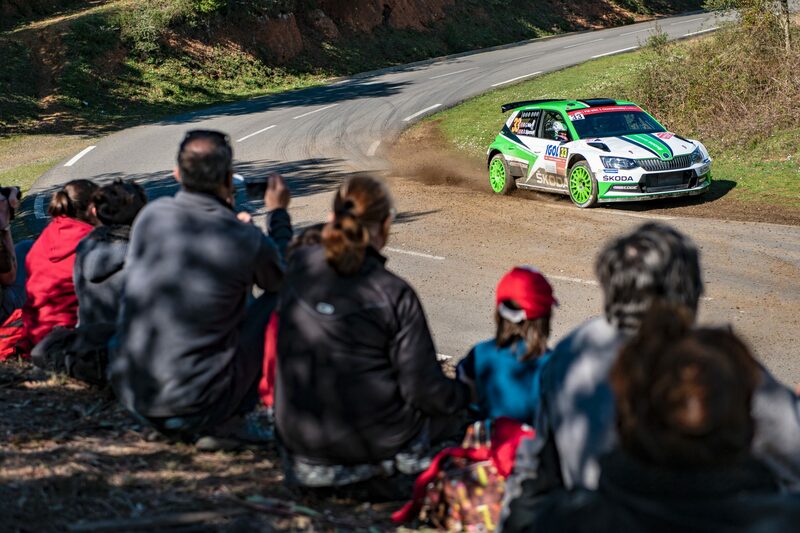 ŠKODA Motorsport boss Michal Hrabánek was satisfied with the first day of Rally Corsica: “This is really a tough test on winding asphalt roads for men and machine. 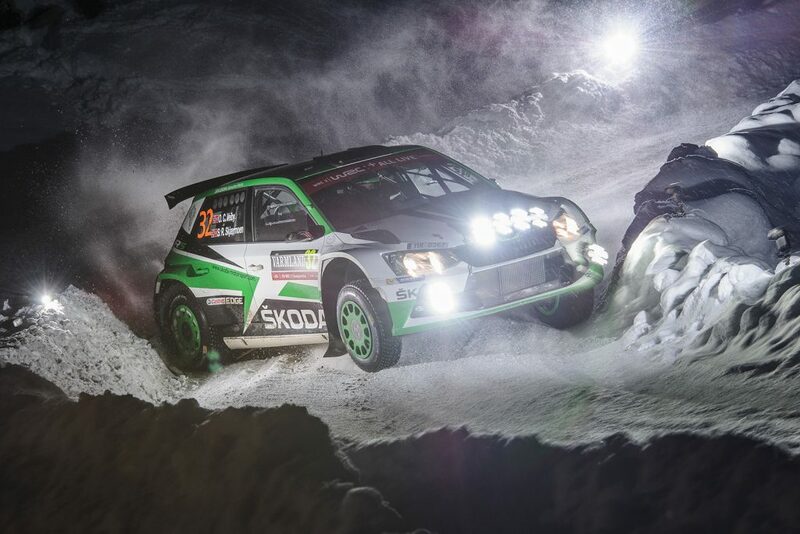 I am happy that our updated ŠKODA FABIA R5 was reliable and fast like our drivers. Jan proved again his pure speed on tarmac, and O.C. is learning with every kilometer here in Corsica”, said Hrabánek. Overall time of Jan Kopecký is 1:24:07.0 h, O.C. Veiby is 1:07.9 min behind him. Saturday will be the longest day of the rally. 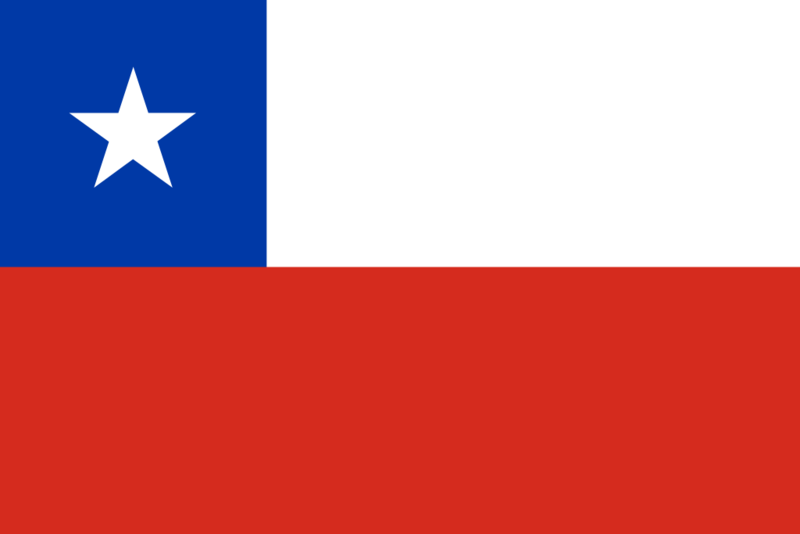 The crews have to face six special stages which are covering more than 136 kilometres. In today’s morning stages, O.C. Veiby really found his pace, winning the first two of them and placing second in the last one. “I found some really nice rhythm and I just kept in going”, smiled Veiby at the end of the first morning stage. Jan Kopecký started out slowly, with 3rd place in the SS5, but this speed improved throughout the morning – in the SS6, he finished 2nd and in the last stage of the morning, SS7, he won, ahead of his teammate. “This was a very good start for us, but the stage was very tricky. Maybe I was at the end too cautious, but you always have to keep an eye out for the gravel going into the corners ”, commented Jan Kopecký. The customer teams did a great job, too. In the SS7, Łukasz Pieniążek placed third, completing the 1-2-3 finish for ŠKODA FABIA R5. Overall, he’s in the 6th place. Ahead of him is Fabio Andolfi, who keeps steady pace and hold the 5th position in the rally. In the first two special stages of the afternoon, O. C. Veiby kept his pace and after placing second in both of them moved to the 2nd place overall. 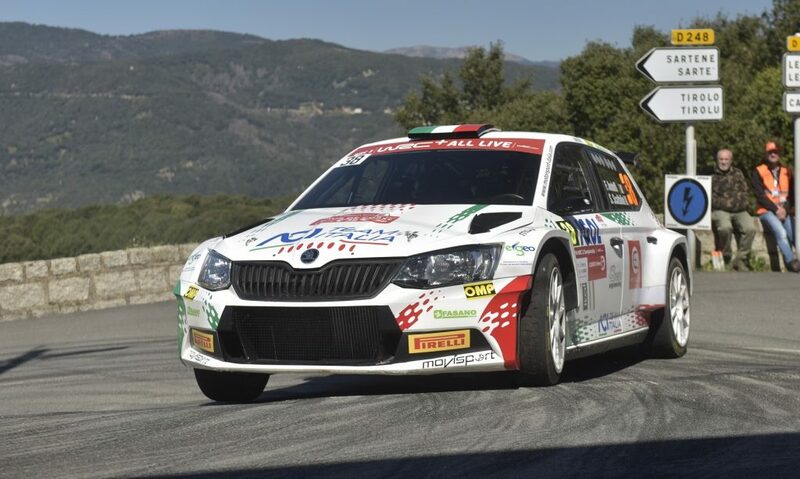 At the same time, Fabio Andolfi managed to move into 3rd place, completing the 1-2-3 lead of the FABIA R5s. In the SS10, though, the gearbox on Veiby’s FABIA R5 failed, getting stuck in the first gear. Although he managed to finish, the problems cost him valuable time and he ended up last in the stage and moved to the 3rd place overall. Fabio Andolfi on customer FABIA R5 is now second, with the three ŠKODA cars still leading the rally. Overnight, Citroën driver Bonato was given a time compensation for false alarms of GPS safety device which has forced him to stop at stage eight. This moved him to second position, ahead of ŠKODA privateer Fabio Andolfi and our works driver O. C. Veiby. 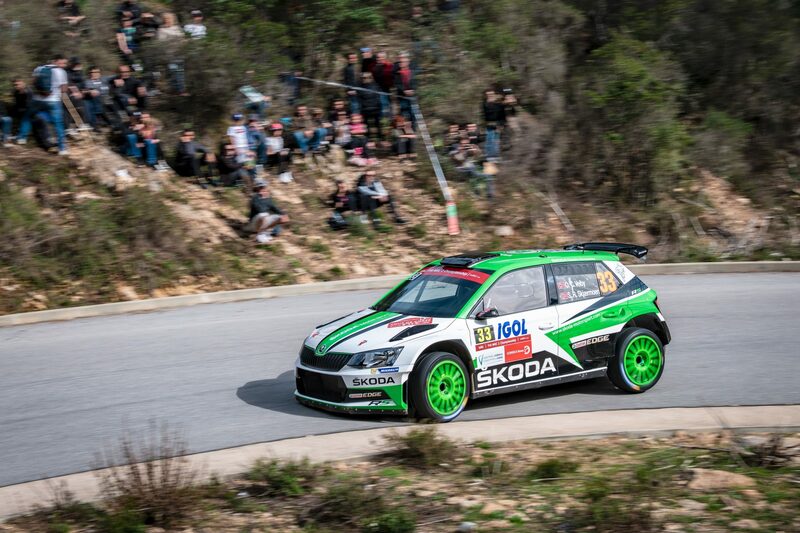 After his ŠKODA FABIA R5 has been successfully revised at the service on Saturday evening, Ole Christian Veiby found himself at the restart on Sunday morning on fourth position, more than 55 seconds behind Italian ŠKODA privateer Fabio Andolfi. All eyes in the WRC 2 category were now on the young Norwegian Youngster and the question was: Can he move back to the third position on the podium? 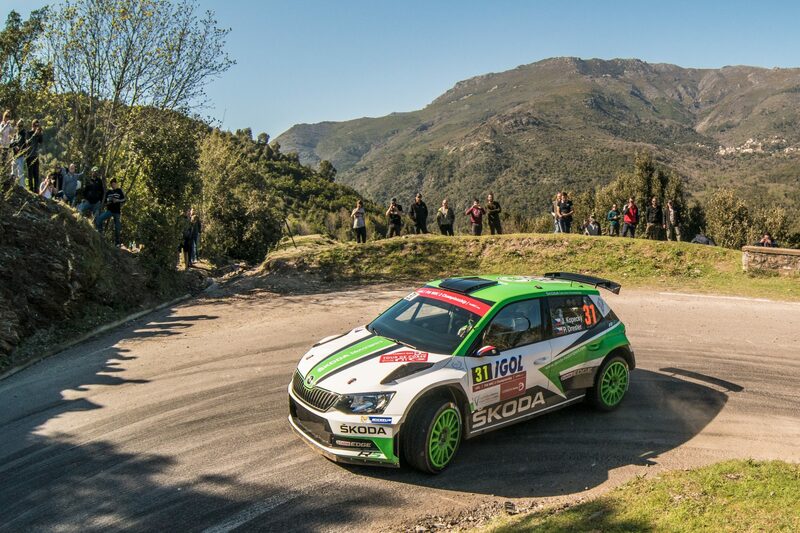 The first of the Sundays two stages was the gruelling 55,17 kilometres between Vero and Sarrola-Carcopino which reached the highest geographical point of the rally with an altitude of more than 885 metres above sea level. 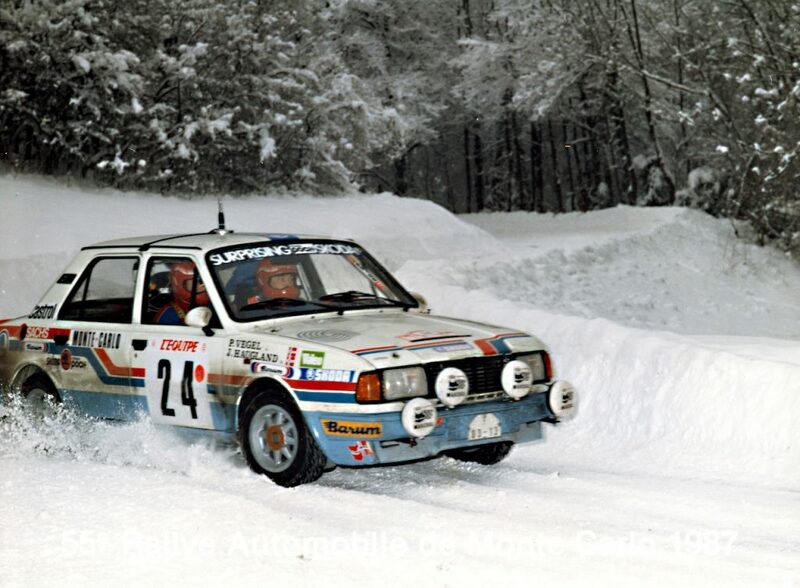 Since 1986, this was the longest stage ever to be driven at the Tour de Corse. And Ole Christian Veiby drove a fantastic stage time, beating Andolfi by impressive 47.7 seconds and closing the gap up to 7.9 seconds before the final power stage. After a clean run, dominating the whole rally from start to finish, Kopecký managed to win Rally Corsica for the first time and cement his leading position in the championship. The last stage of the rally, SS12, was deciding for O. C. Veiby, who was trying to overtake privateer Fabio Andolfi who was in 3rd position overall. Veiby managed a great run in the stage, winning it with 10:10.8 time. It was enough to close the gap behind Andolfi to just over a second, but not enough to get in front of him. 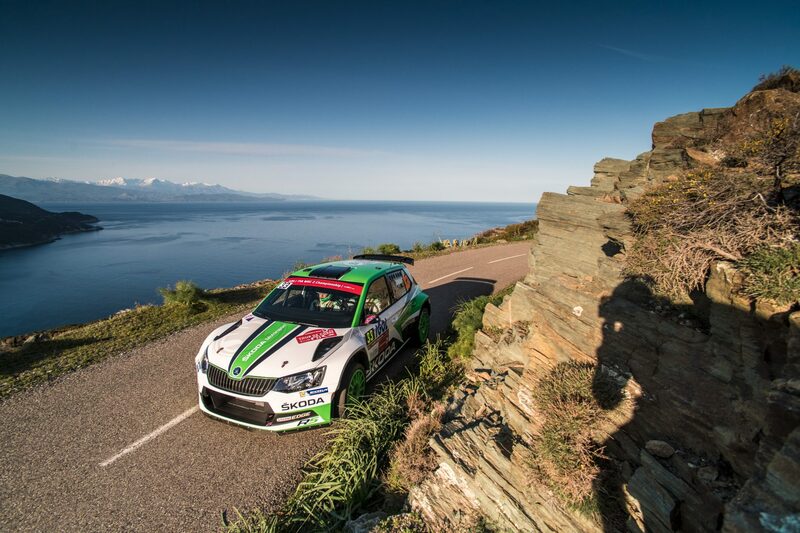 With customer cars having great results at Corsica, ŠKODA FABIA R5s are in four of the five top places, after utterly dominating the whole rally. 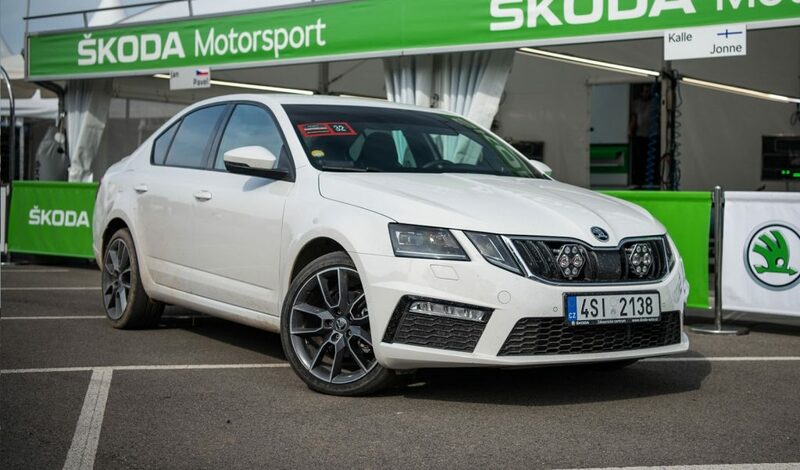 Congratulations to all the ŠKODA drivers!